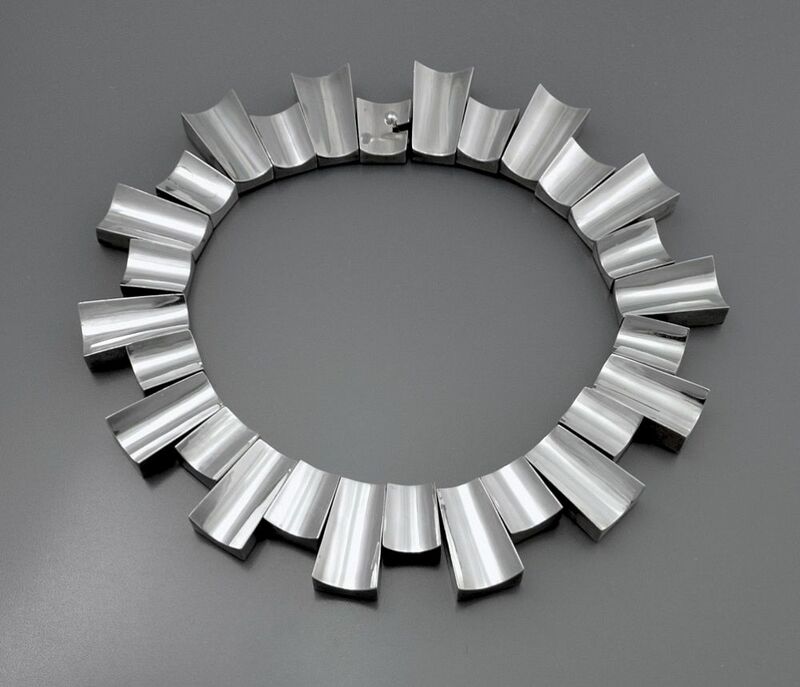 This very stylish vintage silver collar is Mexican. It is made of a series of articulated hollow concave rectangles in two sizes that alternate. 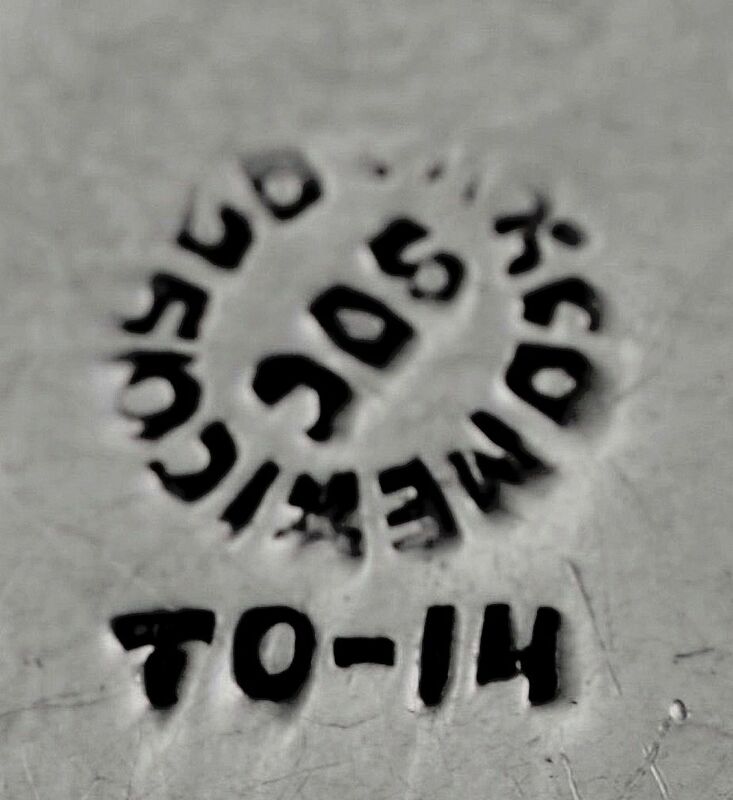 Marked "Taxco TO 14" it was made post 1970.